All our books are 50% off until January 1 as part of our end-of-year sale! See full details here, as well as lots of book suggestions in our Gift Guide, End of Year Highlights and reading lists. 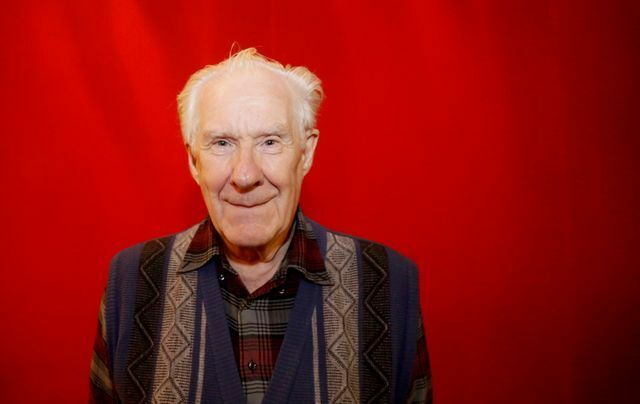 In his new book ‘Petrograd, Shanghaï’ (La Fabrique, 2018), Alain Badiou reflects on the failures of the Russian Revolution of October 1917 and the Chinese Cultural Revolution. Always against the current, this philosopher controversial for his defence of the Maoist legacy discloses his thinking in a long interview. You seem unconvinced by the many publications, documents and debates that marked the centenary of the Russian revolution of October 1917. According to you, this is even the object of a ‘concerted forgetting’. AB: Yes, because the reality of this revolution, its impact, and what it still bears within it that is properly contemporary, have in no way been brought into the discussion. The overwhelming majority of references in the media are in terms of the ‘origins of totalitarianism’, or less they relegate this revolution to a remote and different age. The historian Stéphane Courtois, author of The Black Book of Communism, published an essay against Lenin for this occasion, calling him the ‘inventor of totalitarianism’. Do you see this current as dominant in French historiography today? AB: Stéphane Courtois’s counter-revolutionary passion no longer needs any demonstration. It is his brand, and also how he makes his living. To cast revolutionaries into the ever open dustbin of ‘totalitarianism’ is a well-rewarded trade in the ideology market, and also in the media, which have almost everywhere become a sector in the great planetary oligarchy. Suddenly, yes, a negative vision of Lenin is quite widespread. But there is nonetheless a counter-current, intellectual and international, which shows on the basis of facts that Lenin was undoubtedly one of the five or six greatest thinkers and militants of revolutionary and communist politics that modern times have known – let’s say, from Saint-Just and Robespierre to today. In the debate on totalitarianism, you have taken an unambiguous position, writing: ‘This Russian revolution of 1917 was anything except totalitarian.’ According to you, it has been wrongly equated with its degeneration into a totalitarian party-state under Stalin. AB: The identification of Lenin in 1917 with Stalin of, say, 1937 is a still more striking absurdity than that propagated by the monarchists in the early twentieth century, when they put Robespierre and Napoleon in the same sack. We should say that amalgams, fake figures and apocalyptic visions of the horror show type have always been instruments of the counter-revolutionaries. The Russian revolution is the appropriate name for the historical sequence running from 1917 to, at the maximum, 1929. During the whole of this period, not only was the slogan ‘all power to the soviets’, to popular assemblies, axiomatic for Lenin, or those faithful to Lenin, but the same Lenin diagnosed, immediately after the victory of the Reds in the ferocious civil war, the advanced degeneration of the state established by the Bolshevik party. A common feature of both Lenin and Mao was the great suspicion they had towards everything that, under the pretext of state power, bureaucratized the revolutionary party and rendered it inert. For those who insist on the word ‘totalitarianism’ to denote the fusion of party and state, it would be more correct to say that Lenin and Mao were both severe critics of totalitarianism! More controversially, despite criticism, you basically show your admiration for the Chinese Cultural Revolution launched by Mao in 1966. You are one of the rare intellectuals in France to see this event as a source of inspiration. Why do you see its legacy as so important? AB: That is quite simple. In the late 1950s, like Lenin shortly before his death, Mao noted that the mixture between the Russian ‘model’ – completely ossified – and the bureaucratization of the Communist Party since it had taken power, irresistibly drew a large part of the party cadres, and therefore also those of the state and the army, in a direction opposed to communism. Because for Mao – and the texts are there – the seizure of power is still very far from the communist revolution, the total egalitarian transformation of society. He constantly asserted ‘no communism without a communist movement’. Which means that without mass revolutionary activity, even when the party is in power, it will never be possible to achieve anything really new. That is the very opposite of Stalin, who maintained from the late 1920s that ‘the revolution is completed’, trusting only in the state and the police, and seeing the inevitable settling of accounts in the party as a matter of purges, deportation and shooting. The Cultural Revolution was the first attempt, and so far the only one, to relaunch communist policy on a mass scale in conditions where the party is in power, and therefore in large part against this power. In order to do this, Mao based himself on a gigantic youth movement – we should note that there were such movements throughout the world at that time – then on detachments of the working class in the major factories. Just as the Paris Commune was the first proletarian revolution – and also a bloody failure – in conditions of imperialist capitalism, so the Cultural Revolution was the first in conditions of a socialist state, therefore a party-state – and it also failed in the end. But in politics, everything that is only a beginning, everything that opens the way, takes the form of a failure . Meditation on this failure is none the less a pure and simple obligation for those who proclaim the same ideals. You argue that ‘the uncontrolled action of shock groups appeared very early on’, during this ‘struggle of the new against the old’, and that many Red Guards gave in to ‘a kind of deliberate barbarism’. How can you support a politics of emancipation while appealing to this experience? AB: I don’t think you are serious about this question. How do you imagine that a movement of this kind, of this amplitude and duration, in China, under conditions of a socialist state, could take place without violence, even considerable violence? Any mass movement creates the conditions, both for an ultra-left, for whom undisciplined settling of accounts and wars of little leaders are the motive for action, and for a right that clings absolutely to the power it possesses. The excesses of the Red Guards – which expressed both tendencies, and were divided right from the beginning into an extreme left and a conservative right – were the form taken by this dialectical law of movements. Would you kiss goodbye to the French Revolution because of the September massacres, the executions of the Terror or the war in the Vendée? Any historical birth is painful. But the Maoist leadership of the movement, starting with Mao himself, were aware of this law, and they vigorously tried to act against excesses and violence, right from the start of the movement. Read the text that I comment in my book, the 16-point circular from summer 1966: a whole section of this envisages, and tries to prevent, the excesses you refer to. The truth of all this is that the terrorized ideology of ‘human rights’ likes to reduce the greatest, most fundamental and new movement of the second half of the twentieth century to a collection of unpleasant anecdotes and improbable statistics. These statistics, by the way, are a speciality of contemporary anti-communism. On one occasion, in a televised dialogue, I was given the figure of 200 million dead in the gulag! There wouldn’t have been anyone left in Russia. Another televised interview offered the figure of 45 million dead during the Cultural Revolution. It is perfectly well known today that the likely figure is 700,000 deaths. Certainly, that’s not nothing, but in ten years of disturbances on the scale of a country of over a thousand million people, and given the exceptional importance of the issues involved, there is certainly no basis for crying genocide. All this, to be honest, is just the classic conservative position of the dominant groups. From the start of the nineteenth century, the ‘narrative’ of the French Revolution has been reduced in this way to the dreadful sufferings of a few aristocrats. That prevents any kind of understanding of what was happening there. And today, the words ‘totalitarian’ and ‘dictatorship’ make the very idea of a genuine political change disappear through the liberal conservative trapdoor, the very idea of a new stage in human history beyond this clinging to the Neolithic trilogy of private property, family and state. The attempt by any means possible to keep us indefinitely in thrall. Raymond Aron described the French Maoist current as a ‘secular religion’, on account of its militants’ cult of ‘Mao Zedong thought’. Can you understand this critique? AB: In the recently published book that closes my philosophical odyssey, entitled L’Immanence des vérités, I show – I even claim to prove – that what I call the ‘index’ of any emancipatory politics, or the popular concentrate of its meaning, is necessarily a proper name. That was true of Spartacus, of Thomas Münzer, of Lenin, of Mao, Castro and more than a few others. In the moronic logomachy that governs us today, this point is swept aside by talking of ‘dictators’. But, on that basis, we should also call Schoenberg a dictator of music, or Einstein a dictator of physics. There are profound reasons why, in all domains that summon thought and action to a new invention, a process of truth that is reconstituted and relaunched, this process is symbolized by a proper name. ‘Mao’ is the name of the condition in which revolutionary Marxism and communist politics took place, measured by against experiment and the failure of socialist states. It is the theoretical and practical work that should inspire us to go further. It is in no way surprising that this should have vaguely religious and servile accents, particularly in the always exaggerated and emphatic language of the ultra-left, as in the self-interested glorifications of states. But that is just an epiphenomenon. The subtitle of your book – ‘Les deux révolutions du XXe siècle’ – suggests that there were only these two revolutions. Why not bring in the German revolution of 1918, for example, or the Spanish revolution of 1936? AB: As Lenin said, the twentieth century would be the century of victorious revolutions. This statement should be understood as meaning that ‘interesting’ revolutions, ones that we can learn from, could no longer be, after 1917, ones that collapsed. The Leninist criterion here is clearly the question of taking power. After 1917, we were no longer in a situation like that of the young Lenin, reflecting on the lessons of the Paris Commune, perhaps the main revolution of the nineteenth century, even though one in the modality of bloody failure. What we must reflect on now is a success of communist thought in terms of taking power. For, however moving and, in some respects, admirable were the actions of the Spartakists in Germany in 1918 or the anarchists in Catalonia in the late 1930s, they were still, in terms of their rapid and catastrophic end, a kind of echo of the nineteenth century in the twentieth. Which is why we can say that what has educational value in the twentieth century, when the criterion is taking power, is essentially the Chinese experience, and secondarily that of North Korea, Cuba, Vietnam… It is striking, moreover, that none of these cases was one of urban working-class insurrection in the classical sense, such as dominated the nineteenth century, including the Paris Commune, and finally October 1917. It was rather the process of war – ‘revolutionary war’ – in a peasant milieu. The newness thus already shifts to questions around taking power. But, with the degeneration of the socialist states throughout the world in the late twentieth century, the newness shifted again: what we have to reflect on, above all, are the reasons for this degeneration, and how to relaunch the communist movement beyond the strict and necessary question of taking power. The question becomes: what to do so that the communist movement continues and imposes its law even on the new state established by the protagonists of that movement? And here, the major reference is indeed the Cultural Revolution, including its failure. Exactly as that of the Paris Commune, including its failure, was for Lenin. The Cultural Revolution was the Paris Commune of the era of the socialist states and their disappearance. Revolutionary militants throughout the world have been enduringly affected by the experience of ‘really existing socialism’, such as that of Maoist China. Do recent experiences make you optimistic as to the permanence of a global current of communist thought? AB: Precisely because the question of communist politics is no longer reducible to the question of the revolutionary taking of state power, however necessary this may be, we are at a new beginning, a new accentuation of the fundamental points of Marxist thought. In particular, questions of the egalitarian transformation of the organization of work, the industrialization of the countryside, the advent of the polymorphous worker beyond the division between manual and intellectual work, questions of real internationalism, the permanent existence of popular assemblies at all levels, exercising supervision over the state: all this – which in Marx and Lenin was at a theoretical level, but which was experimented and tested in Mao’s China – must govern the reconstitution of a global communist current. This will happen, in the conditions of a new beginning that are always severe. One of the lessons you draw from the failure of the Cultural Revolution is that ‘any politics of emancipation must finish with the party model, or the model of parties, must assert itself as a “non-party” politics, though without falling into the anarchist pattern, which has never been anything but vain criticism, or a double, or a shadow, of the communist parties.’ What do you see as the right balance? What forms of organization do you have in mind? AB: This is a fundamental question, but it will have to give rise to real experiments. The whole point is that we have to escape from the simple opposition between party-state on the one hand and popular masses on the other. The political dialectic must involve three terms, as we see already in Mao’s text from the 1920s, ‘How Can Red Political Power Exist in China?’ There must be popular organizations, with their assemblies, their meetings, able to inspire independent mass movements at every level; there must be a political organization that is present everywhere, explicitly bearing the communist project, not as a description or dogma, but as a system of appropriate slogans and a vision of the future. And there must be a state, at least for a long period. The most complex point is the following, how to make sure that the dialectic of popular movements and assemblies on the one hand, and the political organization on the other, operates vis-à-vis the state not to obey it, but in a sense to force it to encourage everything that leads in the direction of a communist society? This is clearly impossible if the political organization fuses together with the state, as was the case with communist parties in power. How to maintain the threefold character of instances of collective decision? That is our problem after the Cultural Revolution, just as, after the Paris Commune, Lenin’s problem was how to build a communist organization capable not only of taking power but of keeping it. That is why we are now in what my friend Emmanuel Terray has called the ‘third day’ of communism. With Marx, we had the first day: formulation of principles in a context of repeated failure of workers’ insurrections. With Lenin, the second day: victory is possible, but the genuinely communist character of this victory is precarious. Today, after Mao, the third day: to invent the communist organization of the era of failure of socialist states. You recently wrote a preface to a book on the Shanghai commune by the Chinese neo-Maoist historian Hongshen Jiang. Do you see the existence of neo-Maoist currents in China as a sign of a greater tolerance by the state towards this part of its history? How then do you see China today? You are the most widely translated contemporary French philosopher. In what countries do you find your ideas having the greatest echo? AB: I think this depends on the different registers of my writing. In terms of pure philosophy – the trilogy Being and Event, Logic of Worlds and L’Immanence des vérités, then, besides the American academic world, I would say Germany, Slovenia, Italy, Australia, Argentina, United Kingdom… But if it’s rather a question of my political essays, then practically the whole English-speaking world, but also Brazil, Italy and Germany, India, Mexico… And finally, in terms of literature or theatre, I would say Switzerland, Belgium, and again Germany… There are two particular cases. In Turkey they translate practically everything I write, apart from the speculative trilogy and my novels. And that is exactly the same with China in the last few years. Hongshen Jiang, La Commune de Shanghai et la Commune de Paris, La Fabrique, 2014.